Little, Brown Books for Young Readers, 9780316181013, 32pp. 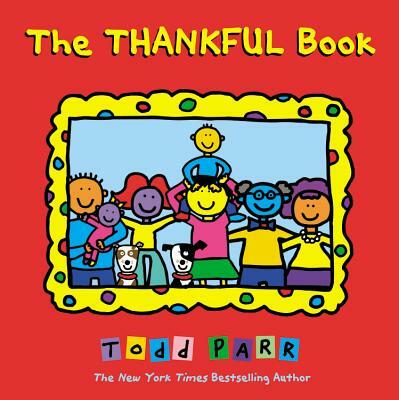 Todd Parr's bestselling books have taught kids about unconditional love, respecting the earth, facing fears, and more, all with his signature blend of playfulness and sensitivity. Now, The Thankful Book celebrates all the little things children can give thanks for. From everyday activities like reading and bathtime to big family meals together and special alone time between parent and child, Todd inspires readers to remember all of life's special moments. The perfect book to treasure and share, around the holidays and throughout the year.